Young readers need to see how important books are - and reading is - to those they love and respect. 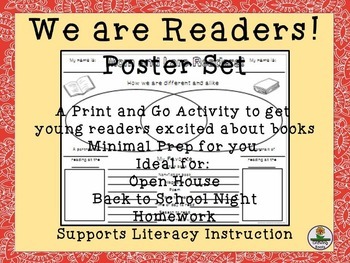 This poster set is a great way to get that conversation started. 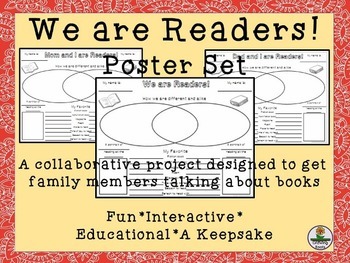 Working on a poster with a favorite adult or family member allows families to discuss reading in a low-stress way. Three options are generic enough so you can choose the one best suited for each child's family dynamics. It fosters intergenerational bonds. Real Reading vs. Fake Reading Habit Sort.